PEACHTREE CORNERS, GA (October 2018) - GC&E Systems Group, Inc. (GC&E) announced that it was awarded a position on the Responsive Strategic Sourcing for Services (RS3) contract from the U.S. Army Communications Electronics Command (CECOM) to provide professional support services to the U.S. Army sites worldwide. With a contract ceiling value of $37.4 billion over 10 years, the purpose of the RS3 contract vehicle is to provide professional services to support the lifecycles of the Command, Control, Communications, Computer, Intelligence, Surveillance, and Reconnaissance (C4ISR) systems at Army sites worldwide. GC&E is one of 198 awardees who will compete for RS3 task orders nationwide. This indefinite delivery / indefinite quantity (IDIQ) contract is managed by the Army's CECOM office and has the potential for a 10-year contract (5-year base and 5 individual option years). 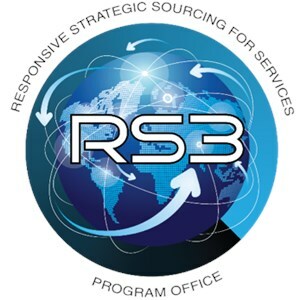 RS3 replaces five expiring/expired contracts - Warrior Enabling Broad Sensor (WEBS); Technical Information Engineering Services (TIES); Technical, Administrative, Operations Support Services (TAOSS); Rapid Response-Third Generation (R2-3G); and Strategic Services Sourcing (S3). RS3 primary service areas include, but are not limited to: engineering; research, development, test and evaluation (RDT&E); logistics; acquisition and strategic planning; and education and training services. In making the announcement, GC&E?s owner and Chief Executive Officer, Dan O?Sullivan stated, "We (GC&E Systems Group) are honored and excited to be awarded the RS3 contract. We look forward to continuing our partnership with the Department of the Army and continuing to provide best-in-class service, performance, and contract execution. We will continue to strive to improve our performance objectives and provide superior customer service to the U.S. Army worldwide." Since 1999, GC&E has been supporting the U.S. Army and other Department of Defense and federal agencies. Over the last 10 years, GC&E has been a prime contractor under the U.S. Army's IMCS II and IMCS II contract vehicles.